The most important benefits of a low sodium diet is increased heart health. The heart will work more smoothly when the blood does not have excess sodium. Excess sodium causes water retention in the body and plays a role for the occurrence of high blood pressure. That's because, excess sodium in the body must be removed to relieve the problem. Get rid of excess sodium from the body requires lifestyle changes. So this effort is not something that once finished. 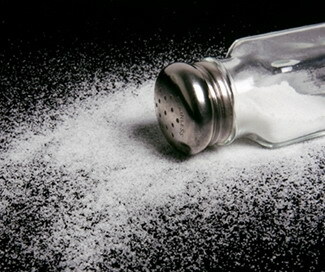 Limiting sodium intake has been shown to be beneficial for health. However, it does not mean the body does not require sodium. In moderate amounts, sodium is needed for many bodily functions such as facilitating the movement of muscles, balance body fluids, and transmission of information in the nervous system. A low sodium diet is an eating plan that features minimal amount of salt intake. A low sodium diet doesn’t mean you have to eat some special foods. If you often eat out, try to eat more home cooked meals. You can control the sodium intake by eating home cooked food. A low sodium diet doesn’t mean you have to cook some special food for yourself. It means you have to just cut down the salt amount from your diet. Avoid eating salty food like salted potato chips, salted cashew, salted peanuts etc. Use less salt in cooking. Softened water contains added salt. To minimize salt intake, avoid softened water for cooking and drinking. Keep away the salt shaker from your table. Go creative and use different spices, herbs, lemon, etc to jazz up your food. Avoid sauces like soy sauce that has high sodium content. While shopping look for low sodium products. You can ask your physician for a recommendation of salt substitutes. Low salt diets shouldn't contain more than 1 teaspoon (2,300 mg) of sodium per day. Read ingredient labels to identify foods high in sodium when shopping for different food products. High-sodium food additives include salt, baking powder, brine or other items that say "sodium," such as monosodium glutamate (MSG). Drinking enough water. Drinking water helps the body stay hydrated so that helped pull sodium out of the body. Eating foods rich in potassium. Research shows that eating foods rich in potassium, such as bananas, green leafy vegetables, and tubers, is useful for reducing the amount of sodium in the body. Diuretics. Diuretics, either natural or chemical that helps pull sodium out of the body, and helps get rid of water retention. Examples of green tea is a natural diuretic, wheat, and asparagus. 4. Preserved vegetables with salt: canned vegetables, etc. 6. Seasoning: salt, baking powder, baking soda, MSG, soy sauce, shrimp paste, tomato ketcup, tauco, etc.